In early spring, I've noticed, Faery Hair tends to fly away more than usual. I suspect we are shedding our winter coats at this time, just like all earthling mammals. I cannot control which hairs decide to shed when, unfortunately! 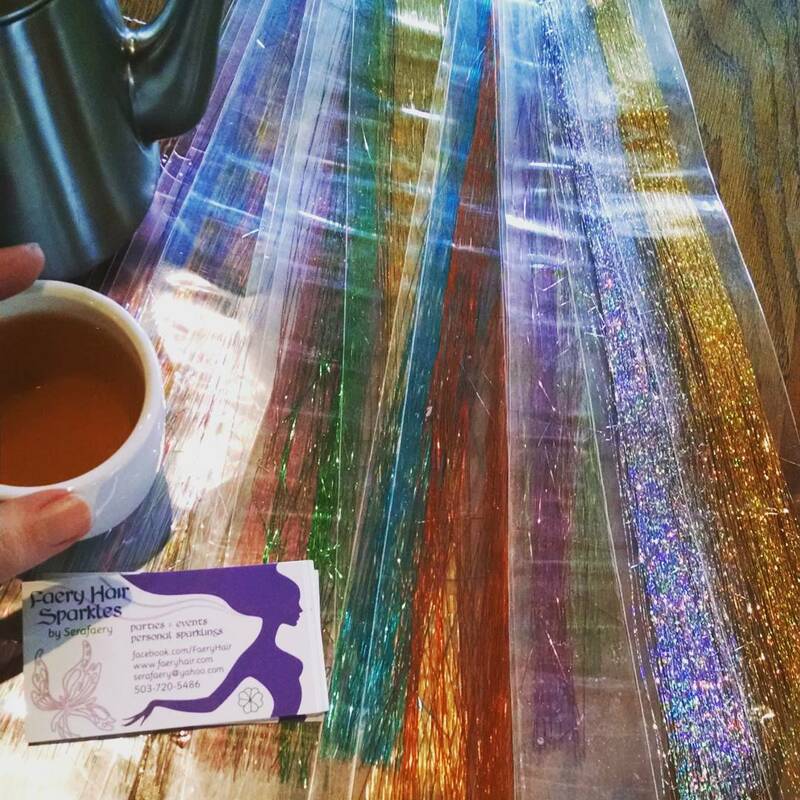 If you can save your strands, and bring them back to me, I'm always happy to re-tie them. Friday, February 12th, 7-8pm, sparkling at Albina Press SE, 5012 SE Hawthorne, Portland, drop in! 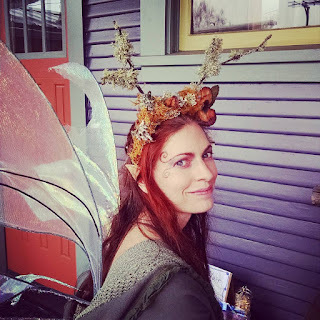 Sunday, February 14th: 12-1pm, Faery Hair at Ristretto Roastery, 555 NE Couch St, Portland, drop in! 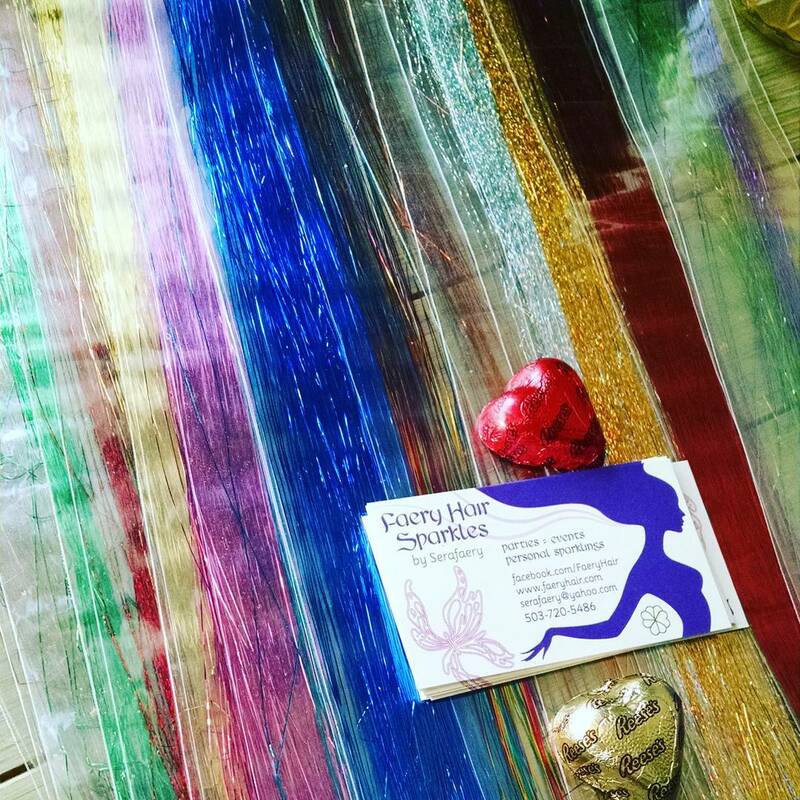 Friday, February 19th: 7-10pm, Faery Hair at Offbeat Belly Dance, Analog Theatre, SE 7th and Hawthorne, free show, drop in! Tuesday, February 9nd: 4-7pm, *New weekly Event! * Tuesday Twinklings! Faery Hair Every Tuesday - This week's location: Ristretto Roastery, 555 NE Couch St, Portland, drop in! Wednesday, February 10th: 5-8pm, 2nd Wednesday Happy Hour Sparkles at Belmont Station, 4500 SE Stark St, Portland, all ages, drop in! Tuesday, March 1st: 4-7pm, *New weekly Event! 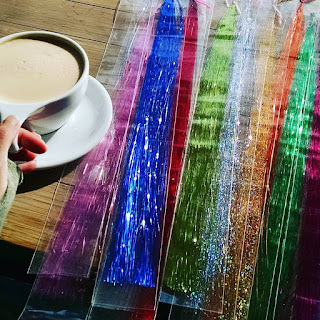 * Tuesday Twinklings! 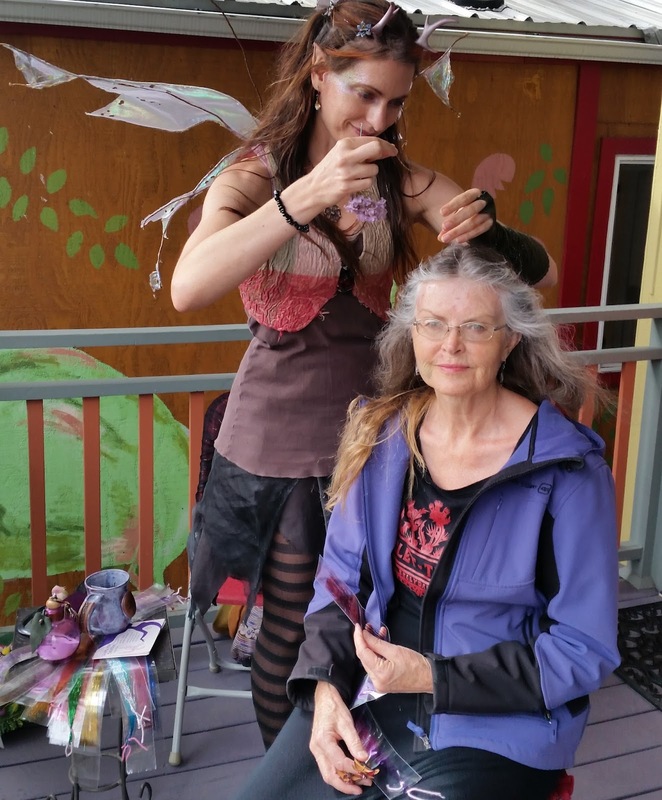 Faery Hair Every Tuesday at various locations in NE or SE Portland cafes, drop in!